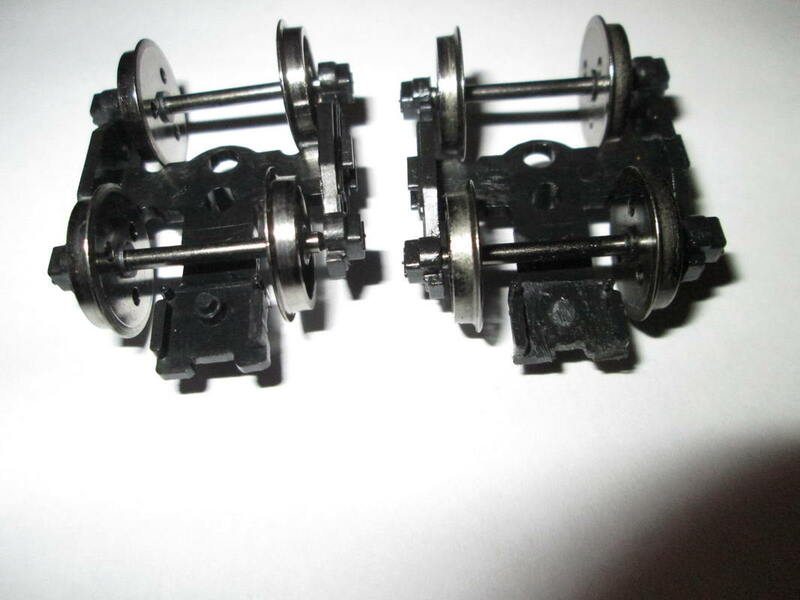 Hornby OO Gauge Coupling Conversion. 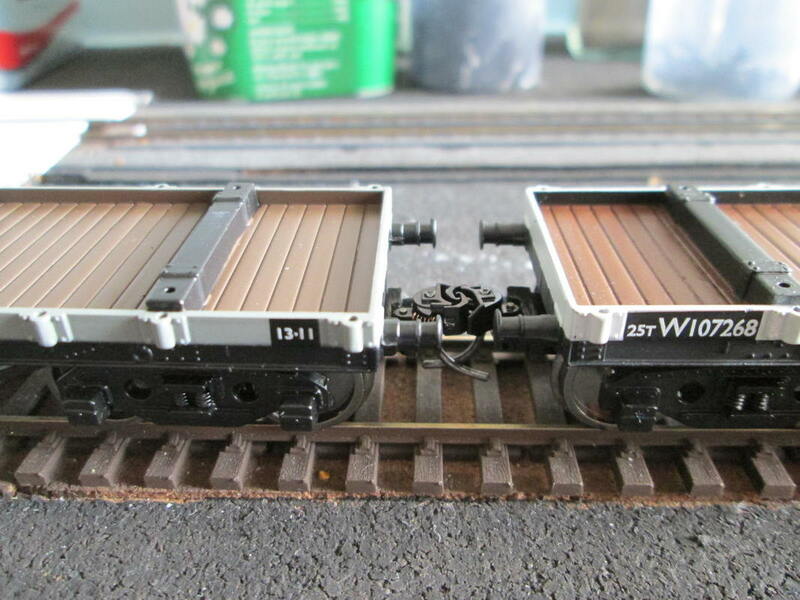 The standard coupling that is fitted to many Hornby products is large and unsightly. If it is the type with the coupling pocket it is quite an easy job to upgrade. 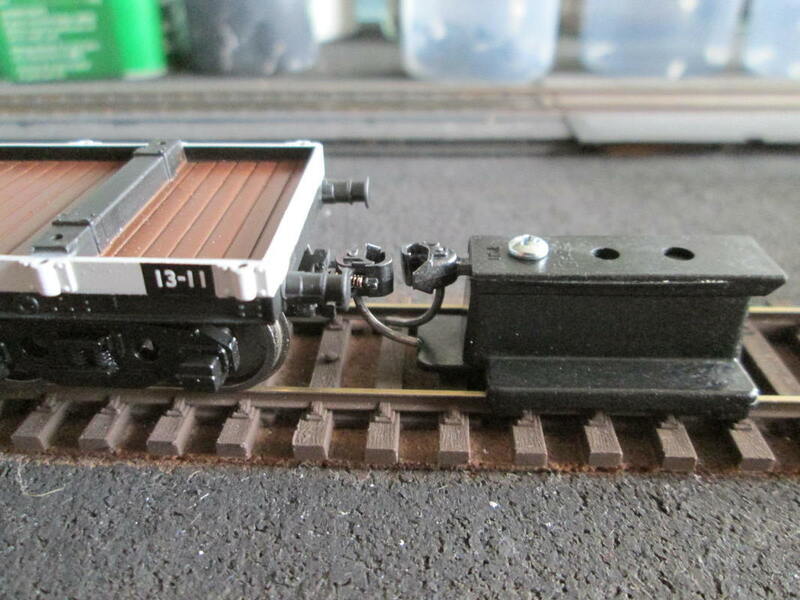 This workshop covers fitting Kadee couplings to the BR Macaw Bogie Bolster wagon. First check that the height of the coupling to be fitted will line up with your other stock. In the case of the Hornby unit this was okay (see photo 3) Adjustments can be made by adding plasticard shims or reducing the surface area with a file or model knife. 1. Standard coupling before conversion. 2. 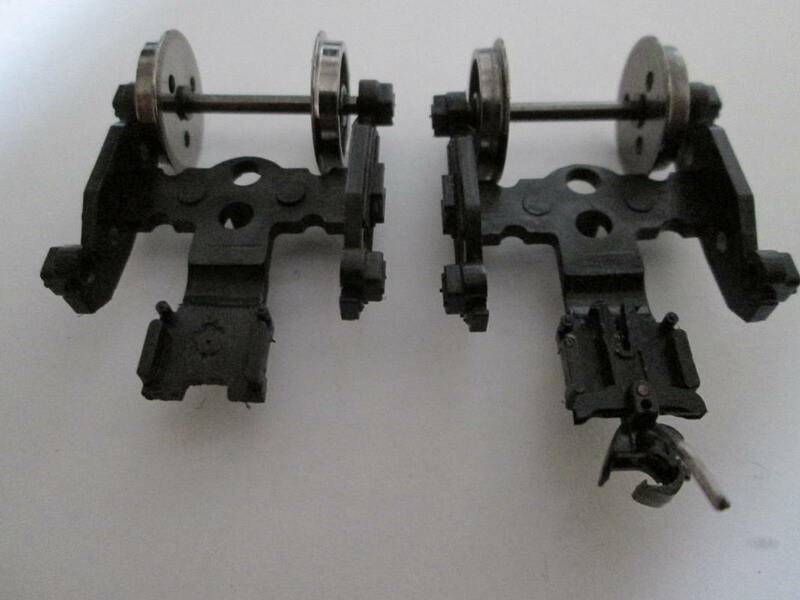 Kadee couplings after conversion. 3. Checking for correct height using the Kadee multi-purpose height gauge. 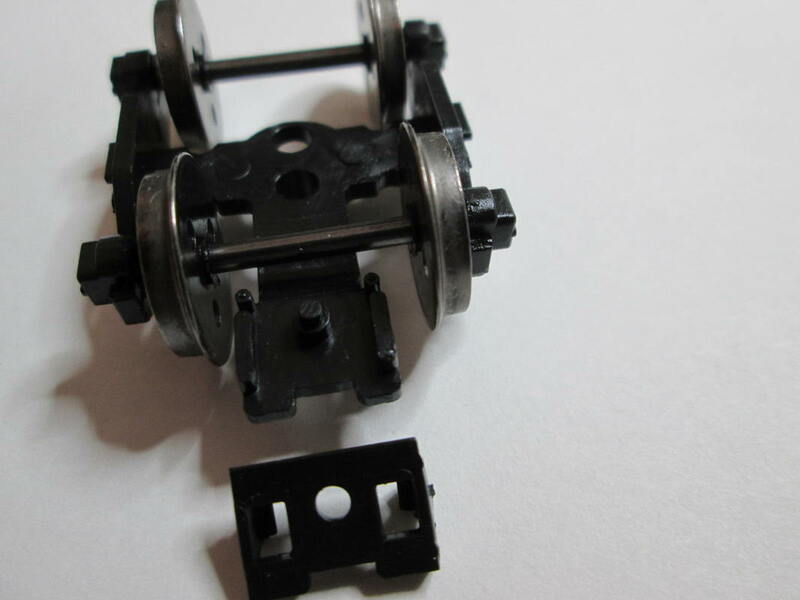 The bogie can be removed by gently pulling it from the chassis. 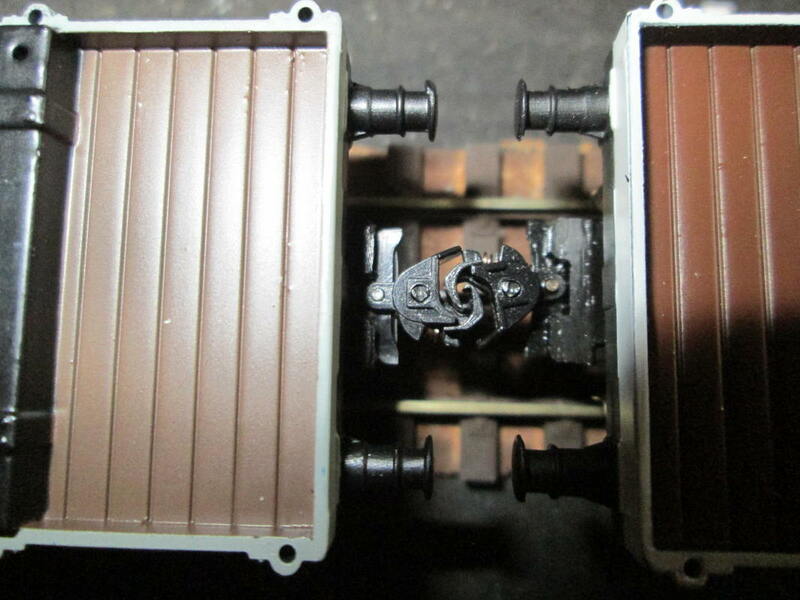 The standard coupling is removed by pulling it from the pocket moulded to the bogie. 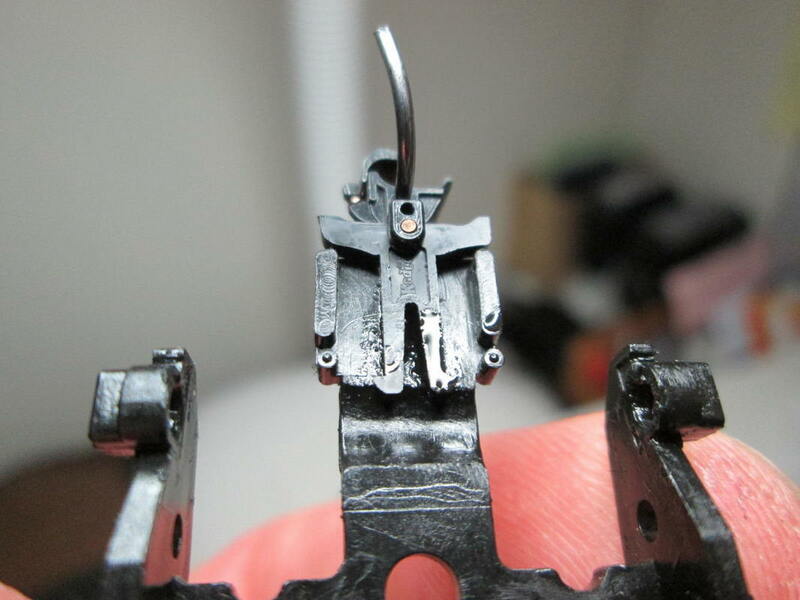 With a small pair of pliers carefully ease the cover from the coupling pocket (photo 4) then remove the wheel set. This will give you more room to work. Trim the plastic post from the pocket with a knife and file smooth. Take a Kadee NEM 362 #17 coupling and gently file the swallow tail end enough to score the surface. This allows for better adhesion when you come to attach it to the coupling pocket. File 1mm off the front edge of the coupling pocket and then a 1mm slot in the centre (photo 5). Refit the bogie to the chassis then place the Kadee #17 so that the rear edge is in contact with the coupling pocket (photo 6). 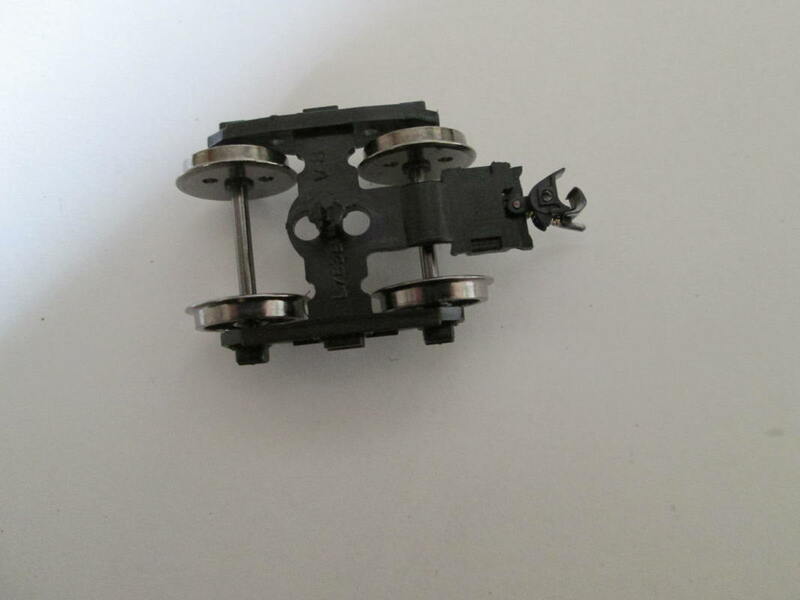 This should align the coupling knuckle inside face with the face of the buffers (photo 9). 6. Dry fit of coupling to ensure the rear edge is in contact with the coupling pocket. Refit the bogie by pressing it firmly back on the chassis. 8. Kadee glued in place and tilted back to avoid the adhesive creeping towards moving parts. 9. 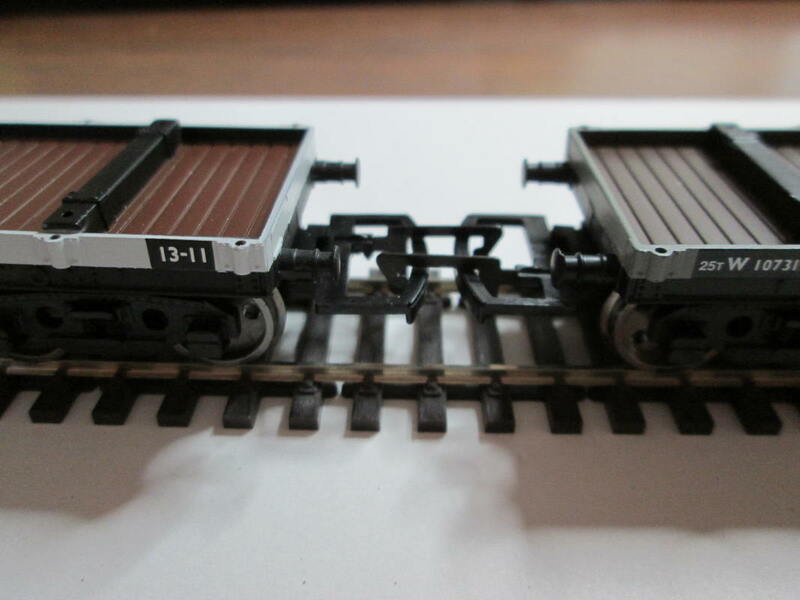 The knuckle of the Kadee couplings should align approximately with the face of the buffers.